Popular products that filled shopping carts were TVs, fridges and other appliances, besides the usual groceries. 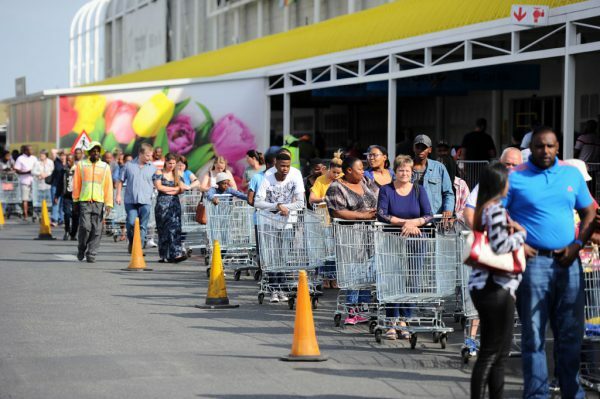 Trollies packed with televisions and Christmas groceries were the order of the day at Game and Makro stores for Black Friday deal seekers. “I’m going into work late because I want to score some good deals,” a woman who only identified herself as Nerisha said. She was was part of the crowd at a Game store in the South of Johannesburg. Black Friday was fully embrassed by South Africans in 2015, and had been celebrated for many years in the United States of America. “We run Black Friday promotions in our Builders, Makro, Game and DionWired stores and have being doing so for the past three years,” Annaleigh Vallie, Mass Mart + Walmart Group Communication Manager said. Vallie said that their Black Friday sales were among the highest in their annual promotional calendar, because of the exceptionally attractive value proposition associated with the promotion.